are this date or if all the photos are from the same date. and, on the first two dates, shared the bill with Acker Bilk's Jazz Band. According to Mike McCartney, in his book The Macs, photo #2 is from one of the Acker Bilk shows and the photo is placed among 1962 stories. 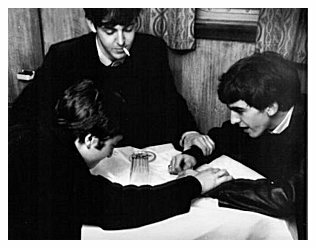 According to Roag Best, in his book The Beatles: The True Beginnings, photo #2 is from the riverboat. However, the photo is placed among 1961 stories and next to a photo of an advertisement poster for the 25 August 1961 show. 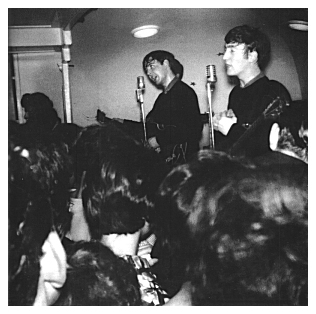 At the website maccafan.com, photos #1 & 3 are accompanied with commentary about the 6 July 1962 show. 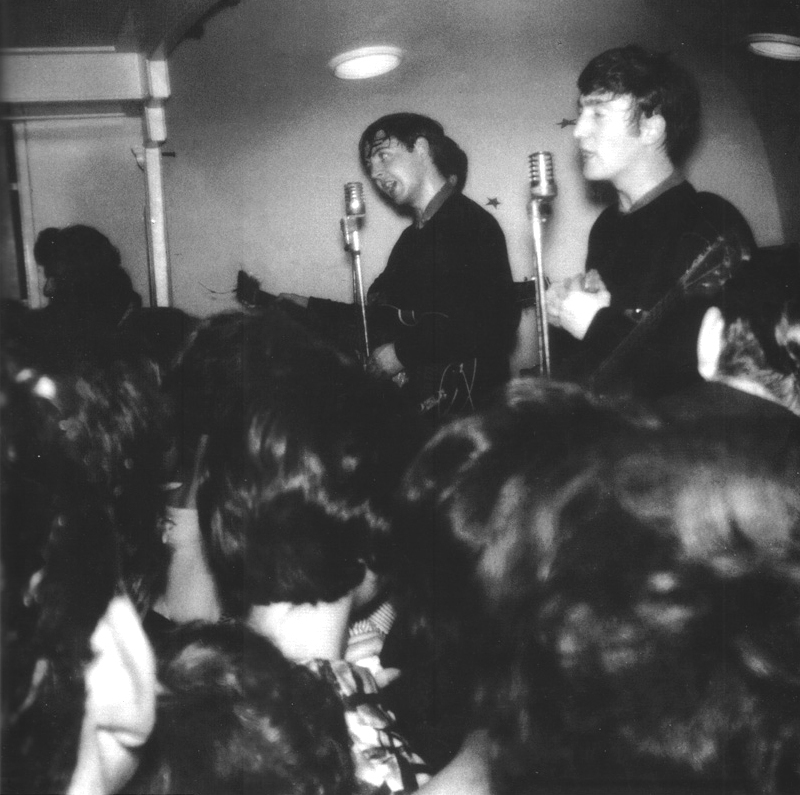 It is also claimed the The Beatles are performing "Love Me Do" in photo #1. So...what date should it be? I'm going with 6 July 1962. First, these photos must come from one of co-bills with Acker Bilk. All resources acknowledge that. 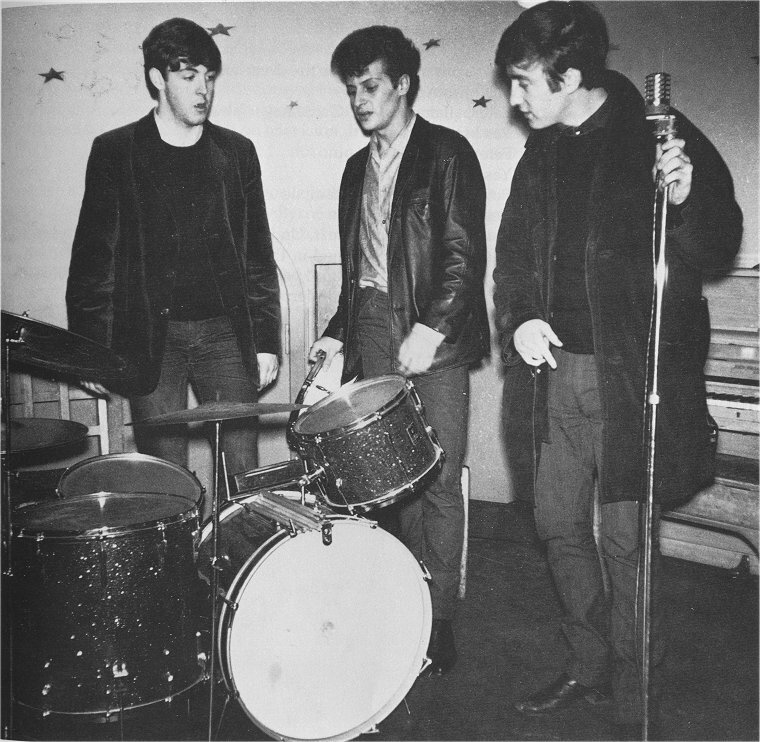 In addition, the 28 September 1962 performance would have included Ringo and not Pete. But the primary reason is because of the attire and hairstyles. In July 1961, The Beatles were apparently wearing their leathers at every gig. Of course, this cannot be precisely verified. Also, in July 1961, their hair was still being combed over Elvis-style. The photos seen here do not represent that 1961 Elvis, leather image. In photos #1 & 2, John appears to be wearing the same shirt and the same type of microphose is seen. This would tend to indicate the same day. Finally, since Mike McCartney took the photos, I would suspect his memory is more accurate. Perhaps Roag Best has inaccurately associated photo #2 with the 1961 date or perhaps I have misinterperated his implication. 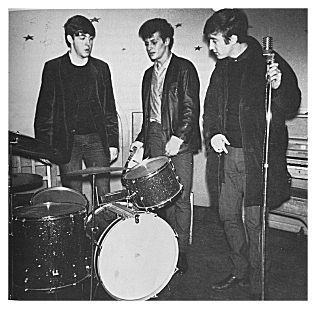 Strangely, referencing photo#2, Mike McCartney states those are Ringo's drums. However, according to Lewisohn, Rory Storm and the Hurricanes never played a Riverboat gig with The Beatles. 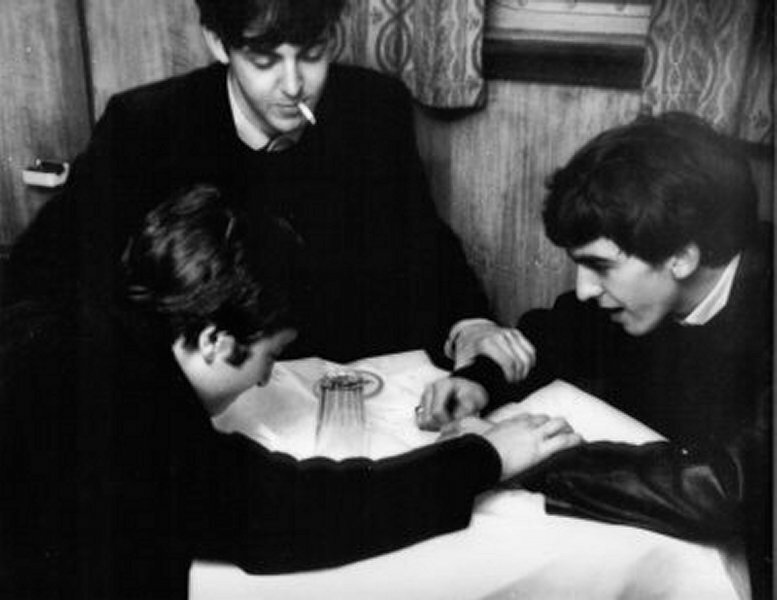 Ringo might have sat-in with another band but it seems as though Lewisohn would mention that.